Need some time to baste the turkey and set the table without the kids running about the kitchen? Check out these super cute Thanksgiving crafts that will keep younger ones occupied and still having something to play with after the pumpkin pie is served. Happy holidays! Want an unstuffy Thanksgiving? 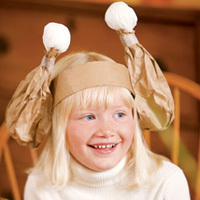 This headgear is sure to get your group giggling. Don’t forget the camera—your kids will love seeing this photo ten years from now! Note: I originally got this craft from a now defunct website, but here are some great photo instructions I found from another mom blogger. For the headband of each hat, cut a 25- by 5-inch strip from a paper grocery bag and fold it in thirds lengthwise. Wrap it around your child’s head, overlap the ends by 2 inches, trim, and use tape to close the band. To make each turkey leg, trim down a paper lunch bag so it stands 7 inches tall. Smooth the bag around your fist to shape it, then stuff it half full with balled-up scrap paper. To make each bone, unfold two white paper napkins and crumple one napkin into a ball. Drape the second napkin over the ball and twist it to form the narrow part of the bone. Insert this end into the stuffed bag. Twist and tape the two parts to secure them. Staple the legs to the headband and use tape to cover the staple ends inside the band. Instead of using name tags for the table, have the kids paint and personalize a rock for each guest. Besides, sifting through a box of alphabet letters is sure to keep them busy for a while! Lay down newspaper or other protective table covering and prepare rocks for painting making sure they are very dry. While the paint is drying, sift through the alphabet pasta box to find the letters for each guest’s name. 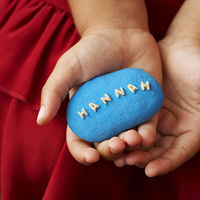 Using a small dot of glue, paste each letter on the rock. When completely dry, position each rock on the table at each guest’s seat. 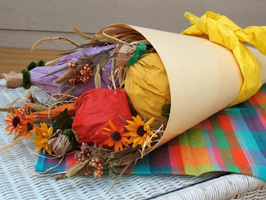 This paper cornucopia craft would make a lovely addition to your Thanksgiving table. Although it looks impressive, it’s super-easy to make! Crumple up a piece of newspaper. Open a brown paper bag and put the crumpled newspaper inside. Depending on the size you want your vegetables and fruits, add more crumpled newspaper. To form a ball shape, like an apple or a pumpkin, put the crumpled paper into one corner of the bottom of the bag. Twist the remainder of the bag to create a stem and wrap a piece of chenille around out to keep it tight. Trim off the excess bag. To create an eggplant, follow step one above, except to make this shape elongated, add more paper above the existing crumpled paper, and then twist closed. To create carrots, take any remaining bag that was cut off as excess and roll it up, tape it closed. Paint your vegetables and fruits, one coat will do and they do not need to be perfect. While the paint is drying, create your cone. Line of all three pieces of art paper next to each other to create one large piece (36″x18″). If using construction paper, line two pieces up next to each other to create a 12×18 piece. 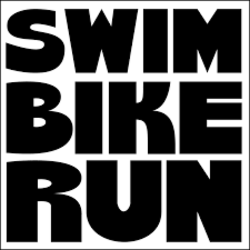 Repeat two more times, then follow instructions above. Tape the seams to seal everything together. Roll this into a cone shape, making sure to leave an opening large enough for your harvest. 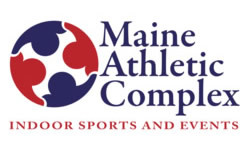 Tape closed and trim opening of cone if needed. Fill cone halfway with raffia. Place harvest vegetables and fruits into the cone. Insert floral and wheat sprigs in randomly around your harvest. Roll up tissue paper and wrap gently around your cone and tie in a knot. Dot some glue on to hold it in place. 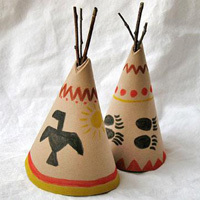 This Thanksgiving make these fun teepee centerpiece to display on your holiday table. A cute craft that takes almost no time to complete! Roll a piece of craft foam into the shape of a cone. Use hot glue gun to tack in place. Trim the top of the teepee on a slant. Break or cut twigs into 3” long pieces. Insert three twig pieces into the top of the teepee, glue in place. Decorate the outside of your teepees with fun Native American-inspired designs such as bear claws, eagles, stripes and geometric shapes– or anything for that matter! 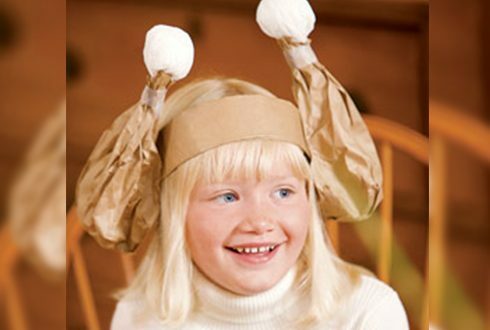 Hope you have fun trying out these Thanksgiving crafts! Now bring on the turkey! Previous PostBeyond the turkey sandwich. New recipes for Thanksgiving leftovers! Next PostFun family ways to say Thanks. 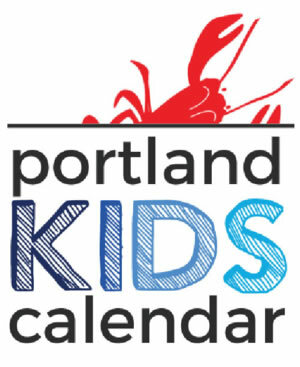 Even the kids will get into this!